This second beach block home with ocean views from 3 open porches and 2 outside showers certainly lends itself for large families or a shared situation. Double parlors, large dining room opens to a large updated kitchen, finished basement, 14 bedrooms and 8.5 baths, extra new kitchen open to a great room. 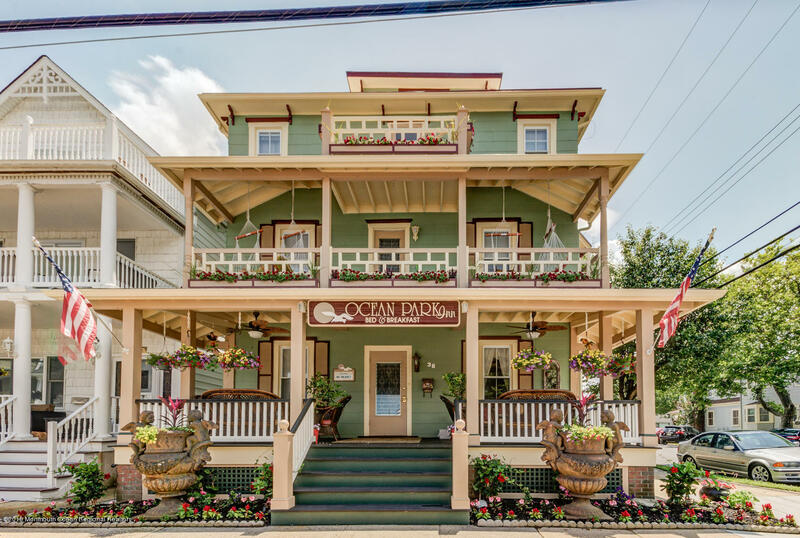 This is a must see Ocean Grove home yet offers easy access to Asbury Park. This home is currently running as a Bed and Breakfast so it could also offer income should new owner desire. This home is a bargain based on the price per square feet.Come take a look and be in for Summer!